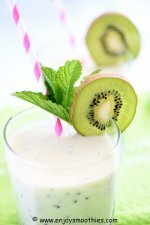 If your morning consists of grabbing a quick coffee and rushing out the door, perhaps we can satisfy those caffeine cravings while making it a little healthier with our coffee smoothie recipes. While that early morning coffee will undoubtedly kick-start your day, it certainly won’t fill you up. You need something more substantial for that. 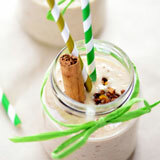 This is where a coffee smoothie comes to the rescue. 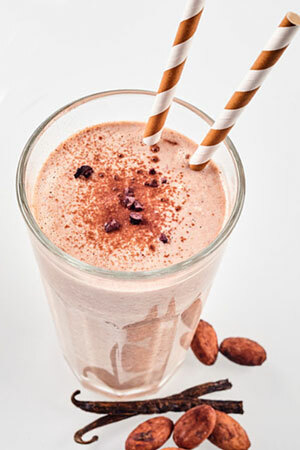 Our recipes all include that important coffee flavor, but are jazzed up with things like frozen bananas, yogurt and almond milk, sort of like a cold creamy latte. 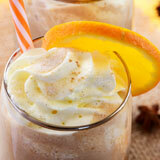 Except unlike a latte, these drinks are filling enough to last you through the morning. 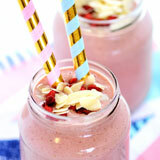 This is coffee and breakfast all rolled into one delicious thick shake. It doesn’t matter what coffee you use or how you make it. You can use espresso (one shot) or plain old instant. However, the coffee will need to be black, unsweetened and chilled, so some forward planning is necessary. 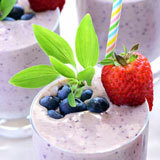 To make your smoothie thick and creamy you’ll need a thickener. 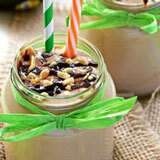 I prefer to use frozen bananas or avocado as the flavor doesn't overpower the coffee. 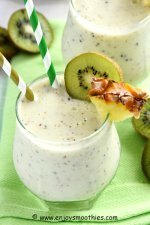 Place the bananas, vanilla yogurt, coffee, almond milk, vanilla bean paste and cinnamon into your blender and process until smooth. 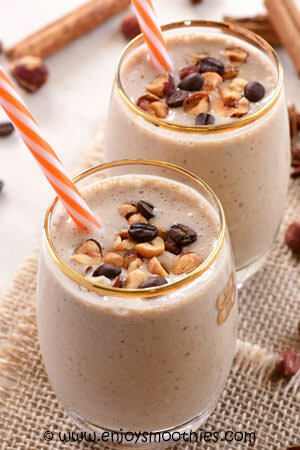 Blitz together the coffee, frozen bananas, vanilla yogurt, hazelnuts, almond milk and vanilla bean paste until thick and smooth. 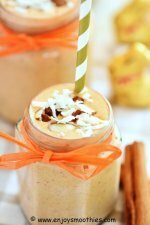 In a blender combine the frozen bananas, Greek yogurt, coffee, coconut milk, coconut extract, ground cinnamon and nutmeg and pulse until smooth. Pour into two glasses, sprinkle with extra cinnamon and enjoy. 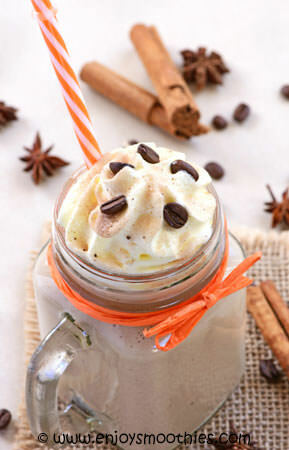 Combine the coffee, avocado, vanilla yogurt, vanilla extract, ground cinnamon and Medjool dates in a blender. 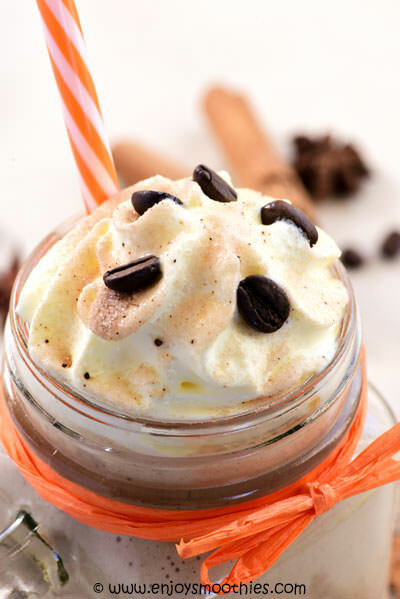 Turn up to high, whizz together until creamy and smooth, then pour into a tall glass and enjoy.